We’re back from the NAMM show and we’ve got all of the highlights for you right here! NAMM, or the National Association of Music Merchants, is the annual gathering of musical instrument manufacturers in Anaheim, California and an opportunity to highlight our new products. This year, we launched the Mini II Bass, a travel-friendly acoustic bass with a robust tone and powerful pickup. Available in all-mahogany or spruce & striped ebony, the Mini II Bass is the perfect addition to the Mini II family. We also expanded the C5 family, adding a spruce top option. The C5 Spruce and C5-CE Spruce lend a brighter, more direct tone to our best-selling lineup. Lastly, the Ukulele Player Pack is here to help jumpstart the beginner musician in your life! The Córdoba Ukulele Player Pack features a soprano sized, all-mahogany ukulele, clip-on digital tuner, and an extra set of strings. Also included are three picks, and an instructional ukulele booklet. 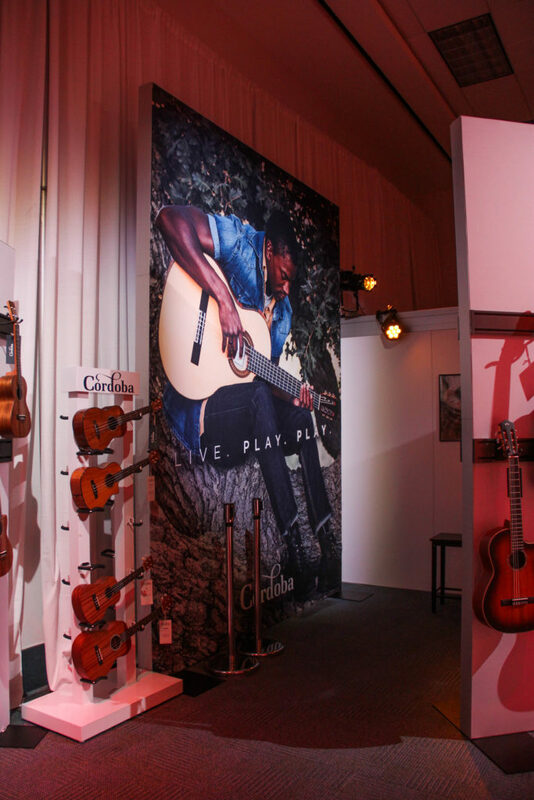 Keep scrolling to check out some behind-the-scenes pictures from the NAMM show! Premier Guitar Magazine Shows off the New C4-CE! 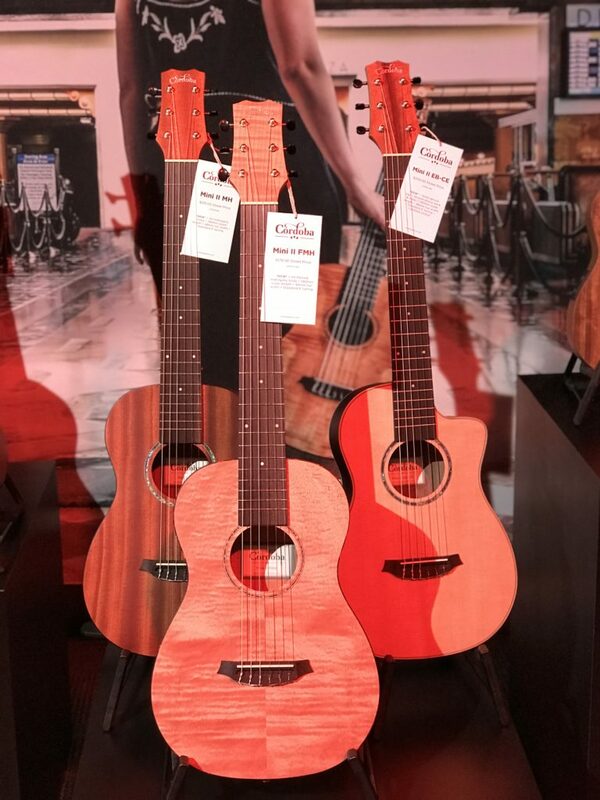 Our friends at Premier Guitar stopped by our Summer NAMM booth recently and checked out the new Córdoba C4-CE! Similar to the C5, the C4-CE boasts all-mahogany construction, a beautiful edgeburst finish, and electronics. Check it out! Play NowSNAMM '17 – Cordoba C4-CE Demo Learn more about the C4-CE here.